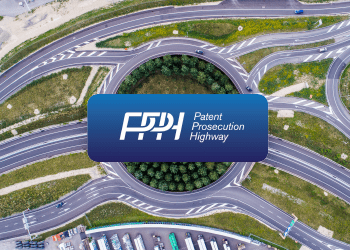 On January 6, 2019, the Peruvian National Institute for the Defense of Competition and the Protection of Intellectual Property (INDECOPI) has become the 26th participant of the Global Patent Prosecution Highway (GPPH). According to the provisions of the GPPH system, an applicant, whose patent application has been recognised as allowable by any participating office, may further request a fast-track examination for the corresponding application before any other office being party to the system. Furthermore, the bilateral PPH agreements between the National Intellectual Property Administration of China (CNIPA) and Hungarian Intellectual Property Office (HIPO) as well as the Japan Patent Office (JPO) and the National Institute of Industrial property of Brazil (INPI) are expected to be prolonged in due course. The agreement between the CNIPA and HIPO will be extended starting from March 1, 2019, for a currently indefinite term. The CNIPA-HIPO pilot was launched back in 2016 and last year’s decision to further prolong it demonstrates that both IP offices benefit from the programme. Later on, as of April 1, 2019, the JPO-INPI agreement will be extended for two years, expanding the list of technical areas accepted for examination in PPH requests. In Brazil, the number of processed applications will be limited to 200, and one applicant will be allowed to file one request per month with the INPI. In the last month of programme validity (March 2021), there will be no restrictions for the number of requests filed by an applicant with the INPI. The JPO will limit neither technical areas nor the number of applications accepted for an expedited examination. Both PPH and GPPH programmes proved to be advantageous for applicants and IP offices throughout the world. The programmes allow applicants to have their patents protected in multiple states more efficiently and at a lower cost. The IP offices, in their turn, benefit from the earlier examination results acquired by the second office, thus, reducing the amount of work and accelerating prosecution of patent applications.